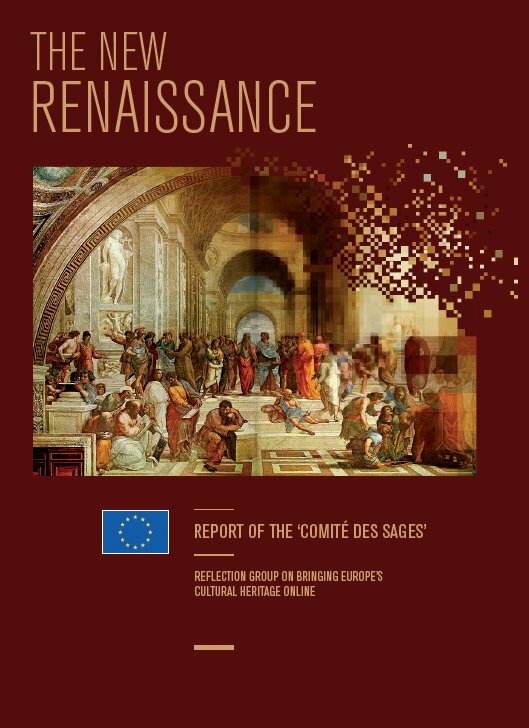 The report of the Comité des Sages (high-level reflection group) on Digitisation of Europe’s cultural heritage was delivered to Neelie Kroes, European Commission Vice-President for the Digital Agenda, and Androulla Vassiliou, Commissioner responsible for Education and Culture. Among its top recommendations are that Europeana should become the central reference point for Europe’s online cultural heritage. Member States must ensure that all material digitised with public funding is available on the site, and bring all their public domain masterpieces into Europeana by 2016. Cultural institutions, the European Commission and Member States should actively and widely promote Europeana. The report urges EU Member States to step up their efforts to put online the collections held in all their libraries, archives and museums. It stresses the benefits of making Europe’s culture and knowledge more easily accessible. It also points to the potential economic benefits of digitisation, including through public-private partnerships, for the development of innovative services in sectors like tourism, research and education. The report endorses the Digital Agenda’s objective of strengthening Europe’s digital library Europeana and suggests solutions for making works covered by copyright available online. The Comité des Sages on Digitisation comprises Maurice Lévy, Elisabeth Niggemann and Jacques de Decker (see IP/10/456). The report’s recommendations will feed into the Commission’s broader strategy, under the Digital Agenda for Europe, to help cultural institutions make the transition towards the digital age. Member States need to considerably increase their funding for digitisation in order to generate jobs and growth in the future. The funds needed to build 100 km of roads would pay for the digitisation of 16% of all available books in EU libraries, or the digitisation of every piece of audio content in EU Member States’ cultural institutions. The recommendations of the ‘Comité des sages’ will feed into the Commission’s broader strategy, under the Digital Agenda for Europe to help cultural institutions make the transition towards the digital age and to search for new and effective business models that accelerate digitisation while allowing fair remuneration for rights holders where necessary (see IP/10/581,MEMO/10/199 and MEMO/10/200). The recommendations will also be useful for the Commission’s plan to develop a sustainable funding model for Europeana by 2012. Today europeana.eu already offers access to more than 15 million digitised books, maps, photographs, film clips, paintings and musical extracts, but this is only a fraction of works held by Europe’s cultural institutions (see IP/10/1524). Most digitised materials are older works in the public domain, to avoid potential litigation for works covered by copyright.